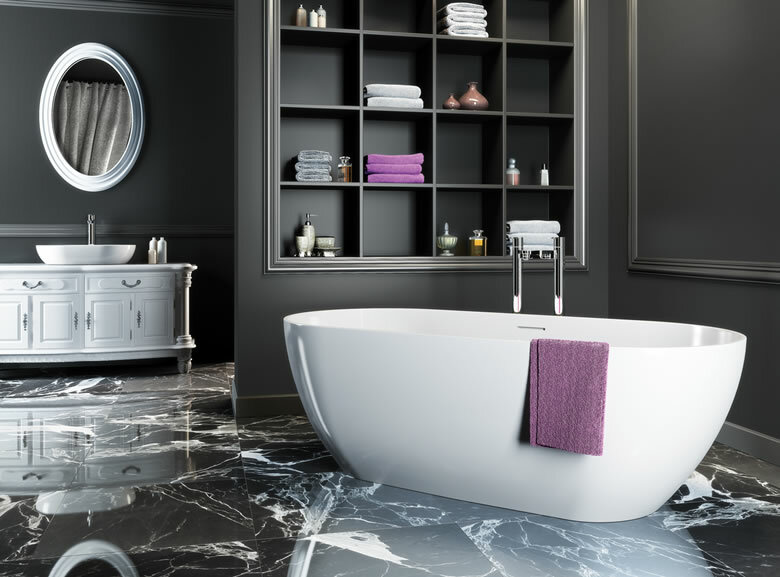 At the Kitchen, Tile & Bathroom Gallery we aim to design a bathroom to suit your specific needs, creating a feel of luxury and an environment in which you can relax. 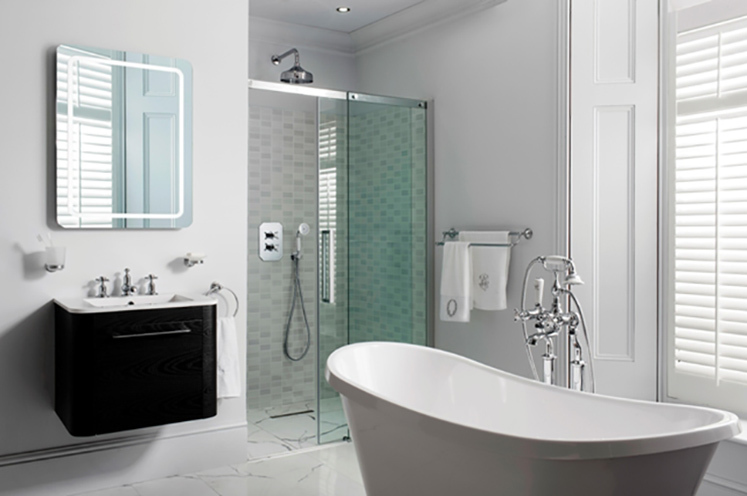 We design bathrooms that take into consideration both your ideas and budget. 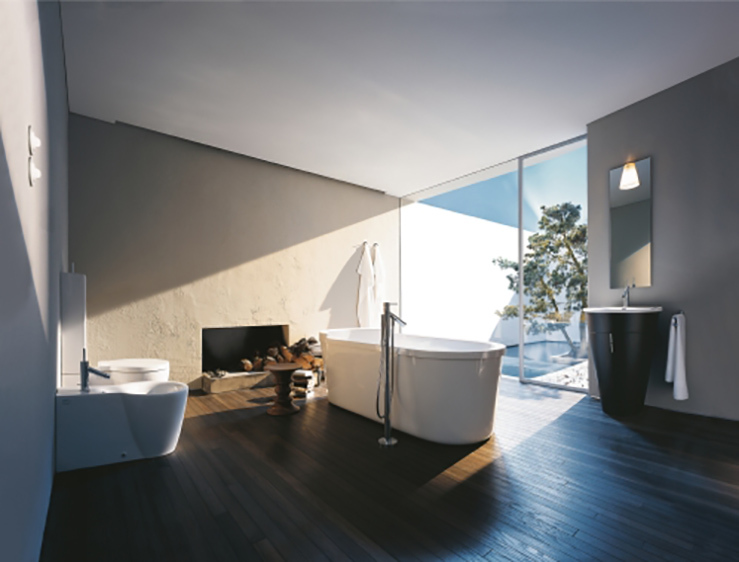 Our bathroom products include top brand leader Duravit as well as many other stylish, high quality and competitively priced options. Our extensive shower enclosure range includes Matki, Simpsons and Huppe, or you could have a completely bespoke shower enclosure made to fit your space exactly. 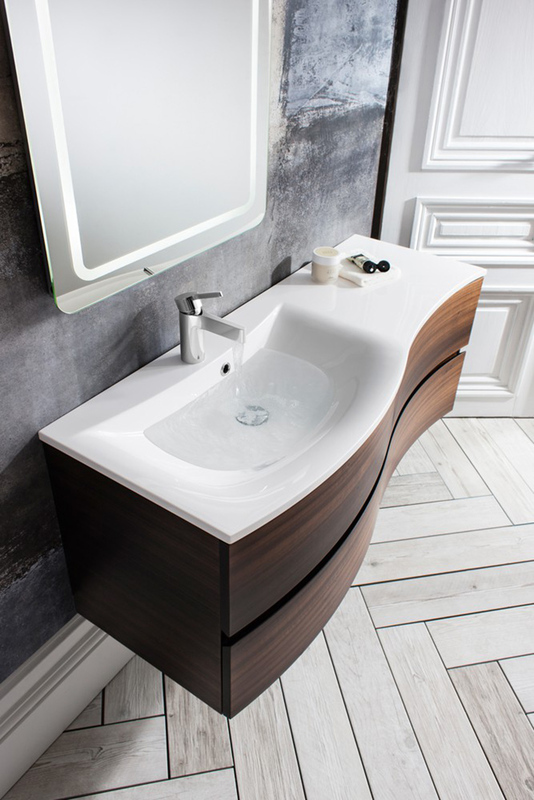 Chose from a huge variety of vanity units, showers and WC combinations. 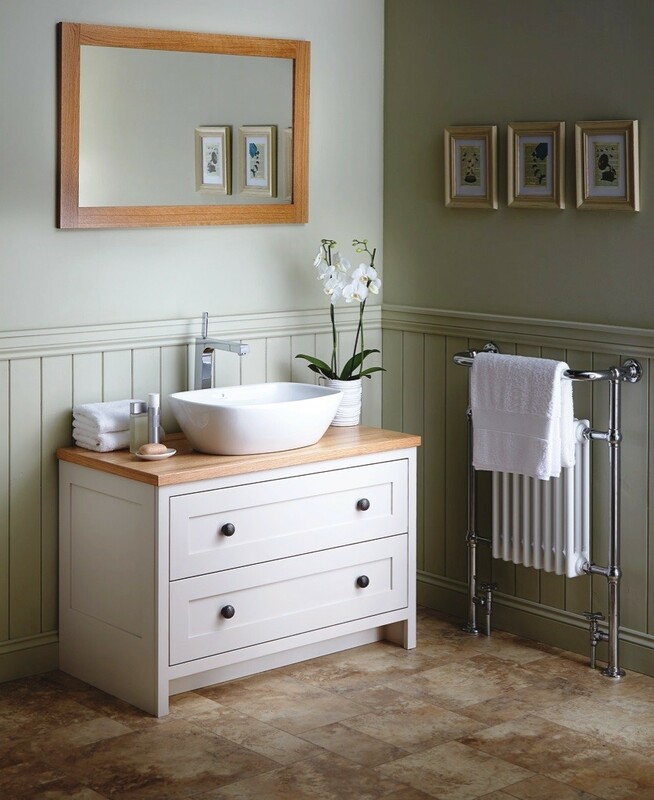 We display all the latest colours and styles, and we also offer a choice of top quality bathroom fitted furniture from Vanity Hall. 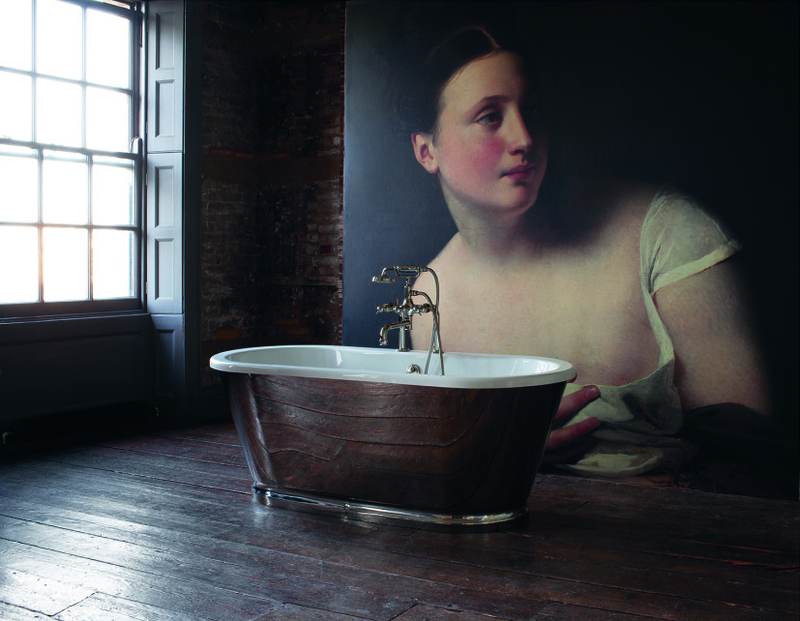 Bathroom furniture finishes include many options of textured woods – walnut, macassar, graphite, oak, and colour finishes in white gloss, cashmere, black, red, and even lime green. 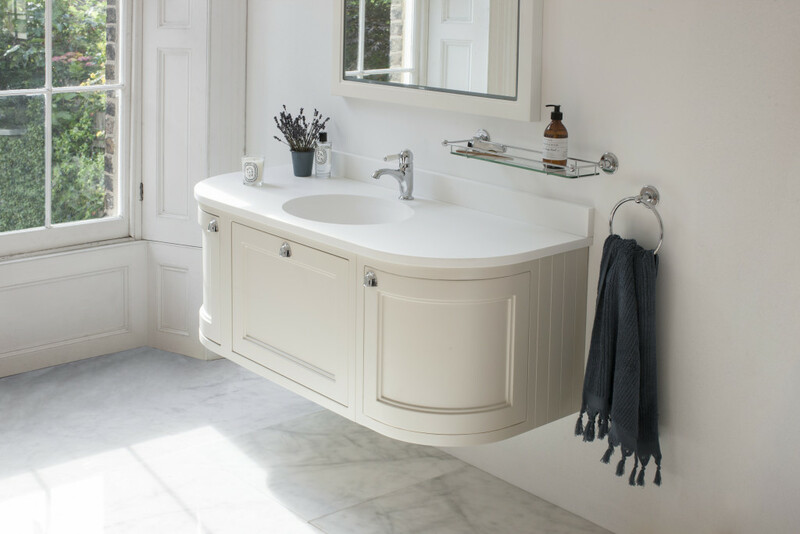 To compliment your bathroom we also have a large range of high quality bathroom accessories, including mirrors and mirror cabinets. 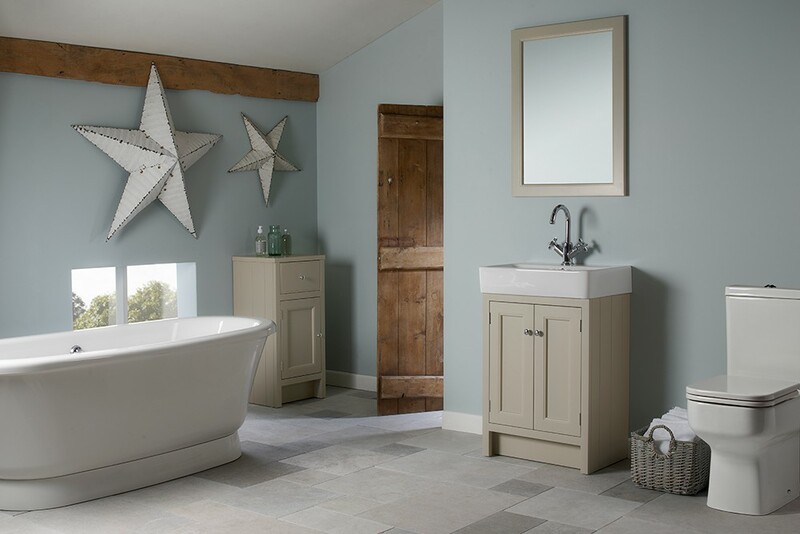 Usually your bathroom products take a couple of days to order in, and we deliver to Alcester, Stratford Upon Avon, Warwickshire and throughout the Cotswolds and Midlands area.